We are Constructionplace.com a Ponta, Inc. company. Constructionplace.com was launched in 1999 to support our founder's first publication "Construction Management Made Easy". "Construction Management made Easy" was written as text book for university continuing education course offerings by our founder. Since then Constructionplace.com has undergone several versions to what it is today. And we continue to make improvements and add new features based on demand from our clients, users and new technologies. "Professionalism, value and a helping hand...my commitment to you!" 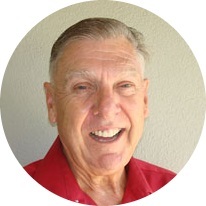 W. Gary Westernoff, our Founder and CEO, has over forty years of national planning, design and construction experience as an executive, consultant, educator, owner's representative, and board member of Community Associations. With an architectural background Gary earned a bachelors degree in Construction Management and pursued executive MBA studies. He is a licensed General Building Contractor in California and Hawaii and is committed to helping our clients and users succeed. MISSION To provide professional expert affordable help, assistance, advice and/or services from project concept through completion and beyond. VISION To be the most valued building construction industry internet service. We currently have offices in Moraga California and Honolulu Hawaii.